A city is made of the people who live there. Each person makes their unique contribution to make a city what it is. You are Tucson. At City Acupuncture, we are here for you, offering comprehensive health care through Chinese Medicine and complementary therapies. We keep you moving, laughing, living, growing so you can enjoy being you and keep making Tucson what it is. Jennifer Providence holds a Bachelor's degree from Cornell College in Biology and a Master's degree in Acupuncture and Oriental Medicine from the Arizona School of Acupuncture and Oriental Medicine. She has training in Massage Therapy, Zen Shiatsu, Craniosacral Therapy, and as a CrossFit coach. In addition to practicing Acupuncture and Chinese Herbal Medicine at City Acupuncture, Jenny teaches Anatomy and Physiology and Nutrition. Jenny opened City Acupuncture in 2016 to share the benefits of Chinese medicine with the Tucson community. She treats people of all ages and athletes of all levels with care, understanding, and expertise. Her unique knowledge base and background in bodywork bring a remarkable quality to her work which supports individuals through their healing process and life transitions. 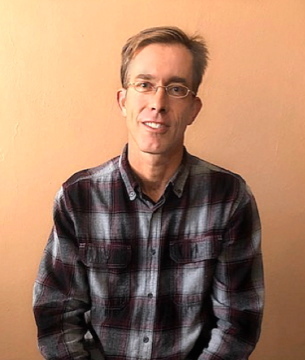 Greg Kay graduated from Colorado College in with a degree in geology after which he spent 12 years living in Japan and Taiwan. Upon returning to the US he earned his Master's in Acupuncture from Han University. Greg enjoys using the tools of Chinese medicine to treat a wide range of conditions. He brings a calm, healing presence to his treatments. As an avid rock climber Greg also appreciates the effectiveness of using Chinese medicine to treat sports injuries.